Every spring in Australia, millions of bogong moths emerge from their pupae and embark on a 600-mile trip to the Australian Alps, the highest mountain range in Australia. For weeks, the insects rest during the day and take to the skies at night to reach the Alps, where they cram into caves and rest for the hot summer. After a few months of estivation — a warm-weather sort of hibernation — they flit out of the caves and make the reverse trek all over again. Finally, back home, they mate, give birth, and die. The following spring, their babies continue the cycle. Researchers have been stumped as to how the moths navigate to such precisely located caves without ever having been there before. Even more puzzling, some moths migrate almost directly south to get to the Australian Alps, while others approach from the west. Now, new research provides some insight: bogong moths seem to use the Earth’s magnetic field to help guide their trek. This is the first time scientists have seen evidence that nocturnally migrating insects can sense magnetism. 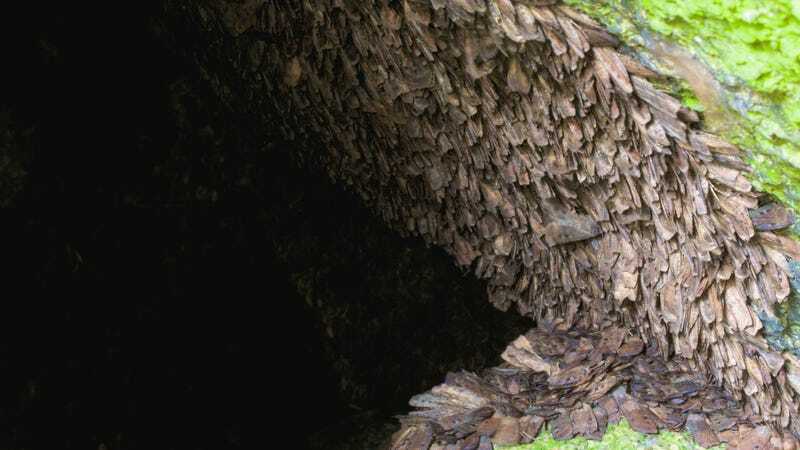 17,000 bogong moths can occupy one square metre on a cave wall. Other animals are known to use magnetic fields as their own personal compasses. Sea turtles use them find their birthplaces decades after leaving, and birds use them to migrate north and south. Monarch butterflies, unlike the moths, migrate during the day and make their 3,000-mile journey primarily using the sun as a beacon, but they resort to Earth’s magnetic fields as backup on cloudy days. Though many animals possess this sense, we still don’t know for sure how it works. Somehow, they can sense the invisible field lines that connect the South Pole and the North Pole. One prevailing theory is that the animals have proteins in their eyes that allow them to see the Earth’s magnetic field. Another theory suggests an iron-based material called magnetite inside of animal cells changes the way cellular chemicals move, making the animal aware of Earth’s magnetic field. Either way, no one’s nailed down an exact mechanism. 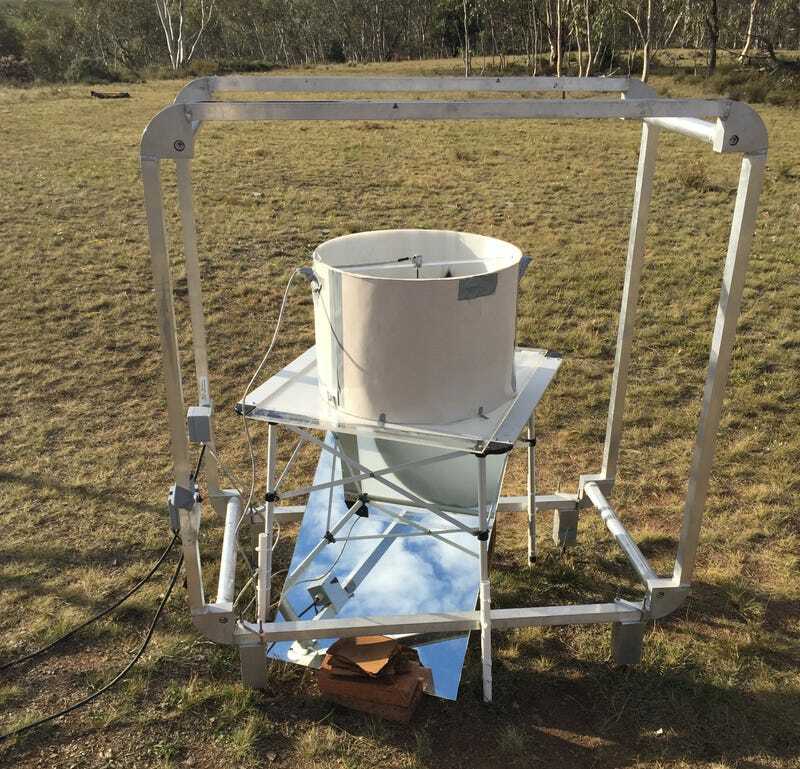 Eric Warrant, a study author and neuroethologist at the University of Lund in Sweden, put the bogongs in what he calls an “outdoor flight simulator” to figure out whether they were part of this magnetosensing club. The simulator is a cylinder that keeps moths tethered in place inside the structure while still allowing them to fly and steer. The simulator also gives researchers the capacity to change the moths’ visual waypoint (a black paper mountain) and alter the direction of the magnetic fields coursing through the arena via large magnetic coils. The moths “fly” in the cylinder and the cube frame has coils that create a magnetic field. Warrant and his colleagues had the moths fly toward the paper mountain with a magnetic field facing north, and then started to switch things up. He rotated both the mountain location and magnetic field by 60 degrees, and the moths reoriented to fly toward the new paper mountain. But, critically, when he flipped the magnetic field to its original direction while keeping the mountain the same, the moths just lost it. They flew every which way, totally confused where they should be going, as reported in the study published today in Current Biology. Finally, to make sure that the moths weren’t just tired, he repeated the original baseline conditions, and the moths regained their sense of direction. One potential limitation of this setup, however, is that the moths aren’t in the real world — they’re in a simulated magnetic field and a pretend habitat. I too would be confused if someone put me into a cylinder and told me to find my way to my new apartment. Warrant thinks the moths rely on visual landmarks first, but periodically “check their compasses” to make sure they’re going the right direction when their landmarks change. At least, that’s his theory — more research will need to be done before he can say for sure. There are other questions still to be answered about the moths’ migration, too. At the very least, it makes sense that this kind of inner compass would evolve in animals that migrate at night, Warrant said, because the moon isn’t a reliable waypoint. “Unlike the sun, which goes up and down in the same place and traces the same track across the sky, the moon is hardly even up for half the month. And when it is, it has a different shape and a different track,” Warrant said. “It’s a terrible cue.” Using magnetic fields as a backup to other visual cues, he continued, would be more reliable. Bogong moths might become useful for researchers in other fields to study, too. It will probably be easier to narrow down which parts of the brain or which genes play into magnetosensing because the moths’ brains are so much simpler than bird or turtle brains.